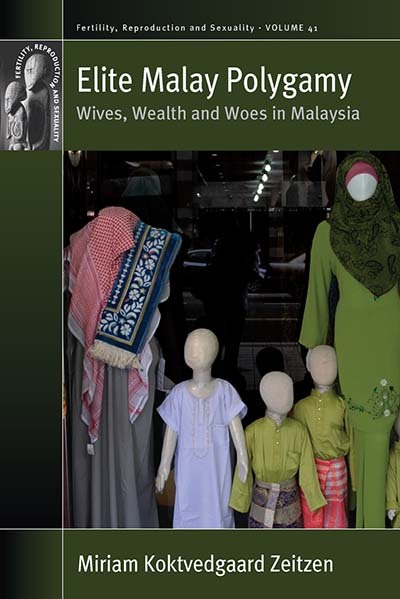 Elite Malay women’s polygamy narratives are multiple and varied, and their sentiments regarding the practice are conflicted, as they are often torn between personal and religious convictions. This volume explores the ways in which this increasingly prominent practice impacts Malay gender relations. As Muslims, elite Malay women may be forced to accept polygamy, but they mostly condemn it as women and wives, as it forces them to manage their lives and loves under the “threat” of polygamy from a husband able to marry another woman without their knowledge or consent; a husband that is married but available. Miriam Koktvedgaard Zeitzen is Curator in Modern History and World Cultures at the National Museum of Denmark. She has done extensive research on polygyny in Muslim Southeast Asia and among Mormon fundamentalists in North America, and currently explores polyandry in the Himalayas. Her previous publications include Polygamy: A Cross-Cultural Analysis (Bloomsbury, 2008).